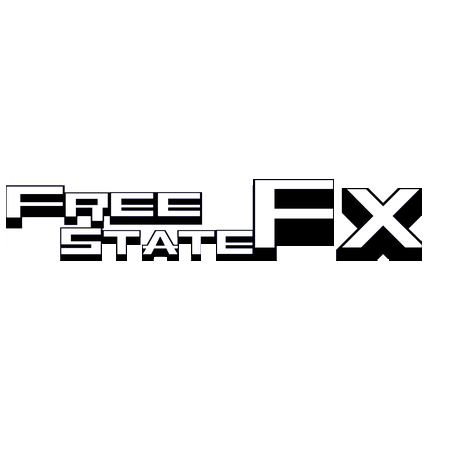 The Free State FX FSFX107 Supra Resonator is a 5U Moog Format version of the Mutable Instruments Rings, a physical modelling module that emulates the resonance of strings in a variety of very pleasing ways. A modern classic in the Eurorack domain, Olivier Gillet innovative Rings module has become a very common site in eurorack systems thanks to its superb tonality and flexibility. Never before available in the 5U format, the FSFX107 brings all of the sweet harmonic content from the MI Rings into a larger format. FSFX103 includes all of the original controls and CV I/O from the module it recreates, but forgoes the minijack connections in favour of big, 1/4" connectors and a larger form factor, making tweaking on the fly a pleasure. The internal architecture is based around four virtual strings, which can be independantly struck for true four note polyphony, the structure of the strings can be run through an internal waveguide for extra sound shaping abilities. There's also controls for brightness, which controls the depth and intensity of the spectrum, damping which provides dampening of the virtual strings and position which controls where the model is struck. Strum mode allows strumming style play, where all strings or modes are played in succession. An absolute must for any serious modular enthusiast. The Free State FX FSFX107 Supra Resonator is a 5U Moog Format version of the Mutable Instruments Rings, a physical modelling module that emulates the resonance of strings in a variety of very pleasing ways. A modern classic in the Eurorack domain.